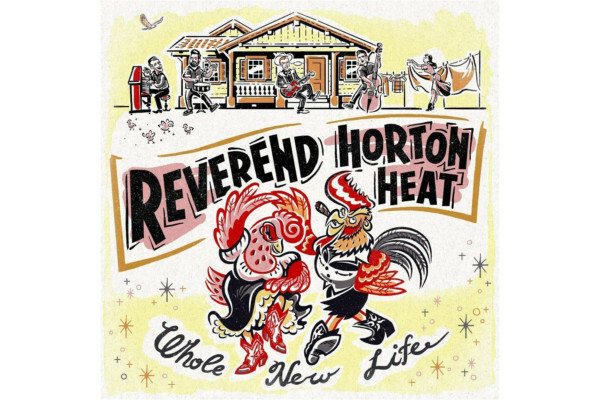 If you dig on rockabilly sounds with plenty of old-school rock-and-roll double bass work, you’ll be thrilled by The Reverend Horton Heat’s REV. It’s the psychobilly outfit’s first album since 2009’s more country-oriented Laughin’ and Cryin’ with the Reverend Horton Heat. As the band’s records have since 1989, the album features the work of upright/electric bass player Jimbo Wallace, who also recently provided slap bass for Jello Biafra & the Guantanamo School of Medicine’s record White People & the Damage Done. REV is out now on CD. and digital formats (iTunes and Amazon MP3).